One of the old standard root applications from the beginning of time, Root Explorer, received its first decent update in some time today. A new Holo-inspired theme is included, along with crash fixes for Jelly Bean devices and the Verizon Galaxy S3. This new update also allows device files to be listed and create shortcuts for files and folders. 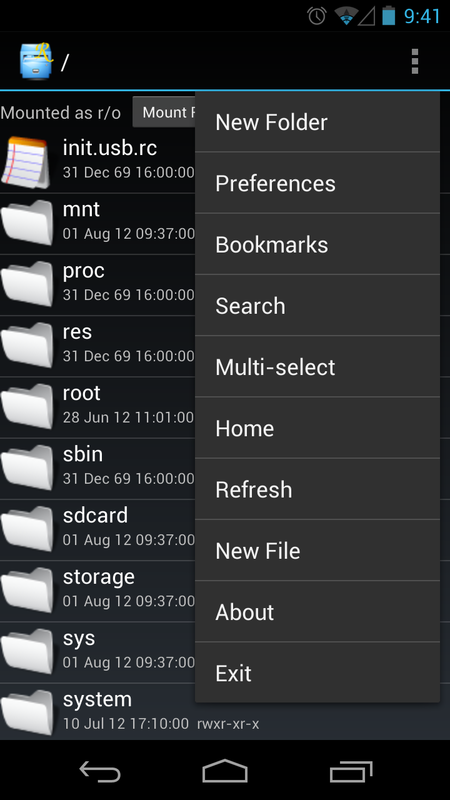 Still using Root Explorer or have you found a new root file manager?